A Chula Vista school paints over a controversial mural, City Councilwoman Lorie Zapf speaks up for arts funding, introducing The Kinsee Report and more in our weekly digest of the region’s arts and culture news. 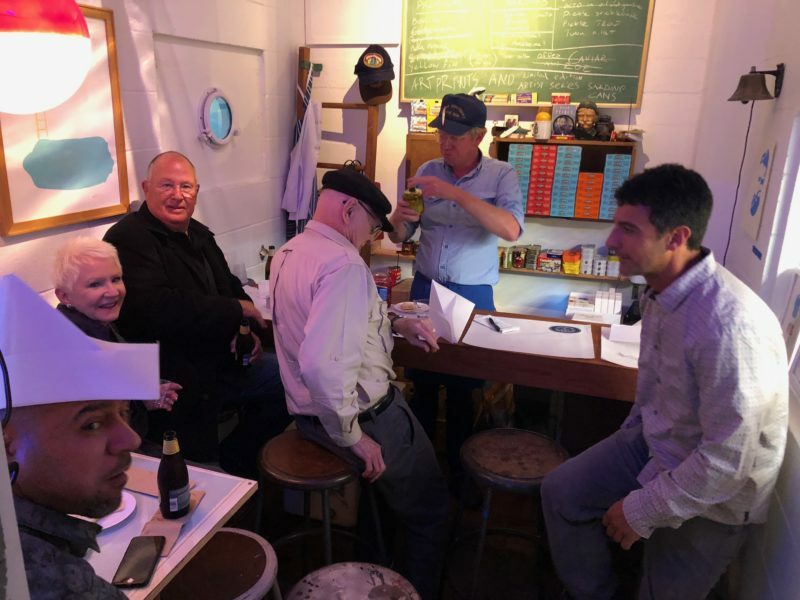 That’s often the first question people ask when they walk into Oslo Sardine Bar, an eccentric pop-up restaurant tucked inside a 7-by-12 foot gallery at the Bread & Salt art center in Logan Heights. Max Robert Daily and his maitre d’ Ryan Severance never give folks a straight answer. They’ll either throw the question right back, asking something like, “What is art anyway?” or they’ll simply stay in character, playing the part of professional canned-fish purveyors who serve up sardines, octopus and other packaged seafood on crackers with sides of olive oil, mustard or pickled onions. Daily said he got the idea for Oslo years ago after traveling abroad. Of course, Oslo really is an art project – part performance, part installation. Daily is a puppeteer, painter and performance artist who’s been known to put on flea circuses on the sidewalks of South Park. The restaurant is his latest pursuit. For nearly a year, Daily has been opening Oslo up to the public every second Saturday of the month from 6 to 9 p.m. There’s a video installation inside, and Daily has also hanged some of his paintings throughout the tiny gallery and otherwise filled the space with artful elements. Everyone who steps inside Oslo is required to wear a paper sailer hat handmade by Daily or Severance. The canned fish and beer is free, but people can make a donation if they want. Because the sardine bar is inside the Not An Exit gallery at Bread & Salt, which has grown into a bustling art space brimming with some of the city’s most exciting contemporary art, it tends to attract artists and other artsy people. Walking into Oslo feels like stepping inside a modern-day cultural salon where folks gather to discuss art, life, literature and philosophy. Or sometimes, they’re just there to enjoy the fish. “This is delicious,” said Steve Gibson on a recent Saturday night. Gibson is a well-known San Diego artist. 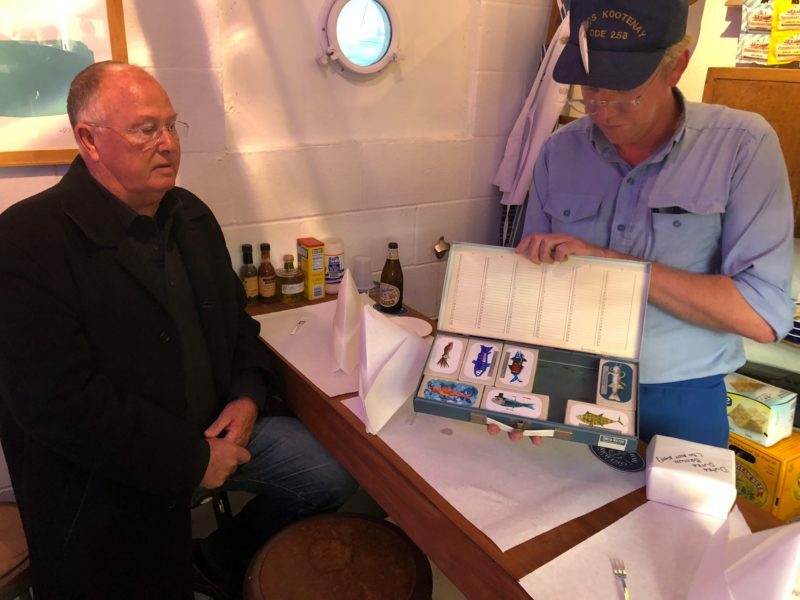 Another famous San Diego artist, Bob Matheny, was sitting at the sardine bar, too, enjoying a piece of canned herring on a Saltine. Over the weekend, Matheny was named one of the year’s four San Diego Art Prize winners. As a longtime artist, the award allowed him to choose any up-and-coming San Diego artist as an Art Prize winner in the “emerging artist” category. Matheny chose Daily. Oslo will cease to exist at Bread & Salt by the fall, at which point the Not an Exit gallery will be used by other artists who want to build experimental art installations. The Art Prize award comes with a little cash, plus other perks like exhibitions and promotion. Daily said he plans to use his grant to build a large crate that can house Oslo. He’s hoping to convince galleries, museums, art fairs and other artistic ventures to host a pop-up version of Oslo in the future. • Every year, MAAC Charter School in Chula Vista holds a fundraiser event in which graffiti artists and muralists paint walls across the campus. KUSI reported on the outrage that ensued this year after one of the school’s new murals depicted an Aztec warrior jabbing a paintbrush through President Donald Trump’s decapitated head. 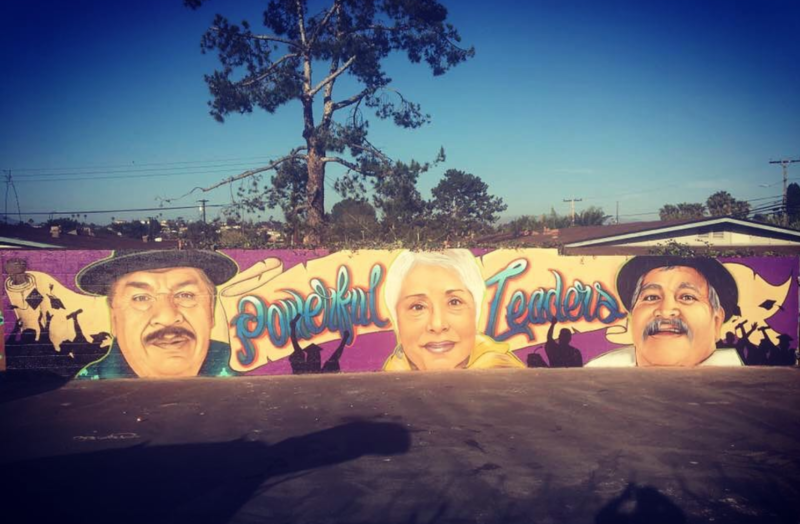 School officials apologized, and artists covered the piece with a new mural featuring the faces of local Latino leaders Victor Ochoa, Irma Castro and Ramon “Chunky” Sanchez. The artists who painted the new mural include Mode Orozco, Ochoa’s nephew. • These photos of artist Thomas Gin trying to preserve the murals his art collective painted on the border fence in Mexicali are intense. VOSD’s Maya Srikrishnan and Adriana Heldiz wrote about the Mexicali border murals a few months back. • The city of San Diego’s budget review process is underway. At a recent budget meeting, City Councilwoman Lorie Zapf said the fact that cuts to arts funding could have been worse isn’t worth celebrating, reports Times of San Diego: “We need long-term stability. And whatever we’re at, that needs to be the floor, not the ceiling, going forward.” Last year’s proposed cuts to arts funding were considered draconian and devastating by many arts supporters who successfully rallied to restore funding in the last city budget. • Speaking of arts funding, y’all can peruse the proposed funding local arts organizations will get this year from the city’s Commission for Arts and Culture. The numbers are tentative and won’t be final until June, when the city’s annual budget process is done. • Khaled Hosseini is the Afghan-born American author of the famed novel “The Kite Runner.” Hosseini also wrote “Splendid Suns,” a novel that’s been turned into a play showing at The Old Globe starting Saturday. • On the topic of summer: The Union-Tribune is out with its summer preview roundup of things to do, see and eat, and CityBeat’s Summer Guide is here. • New Village Arts Theatre’s executive director Kristianne Kurner scored a prestigious grant. We interviewed Kurner on the “I Made it in San Diego” podcast. • The San Diego Opera and the San Diego Museum of Art are among a handful of local arts organizations awarded grant funding from the National Endowment for the Arts. • Astraeus Aerial Dance Theatre scored an artist residency at the San Diego International Airport. KPBS takes a look at the work they’ve done in the airport. Every week, people ask me what they should go do or see. In this new Culture Report segment, I’ll pick my top three recommendations. 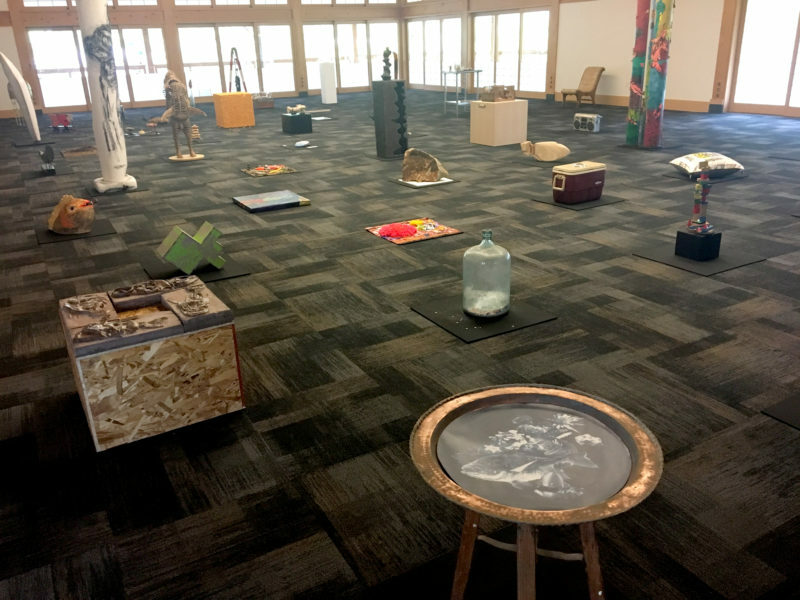 • San Diego State University professor and artist Richard Keely invited 50 artists to make a fish – sculpture, paintings or whatever medium inspired them – and exhibit the result at the Japanese Friendship Garden in Balboa Park. The list of participating artists reads like a who’s who of the San Diego art scene, and the photos I keep seeing of work in the show is intriguing. The show’s up through July 15. • I’ve told you before about a formerly vacant lot in Lincoln Park that’s been transformed into a community gathering space. The space will be the backdrop for a dance performance this weekend presented by the The PGK Dance Project. • Art of Élan is closing its season with a new piece by Tijuana composer and double-bassist Andrés Martín. Called “Bruja,” the work will premiere in San Diego and Tijuana this week. • Entrepreneurs across the state are trying to figure out how to make money on newly legalized recreational weed. In the latest episode of Voice of San Diego’s Potcast, VOSD’s Jesse Marx and I talked to one of them about his new cannabis venture – a private dinner club that’s meant to connect local cannabis entrepreneurs. 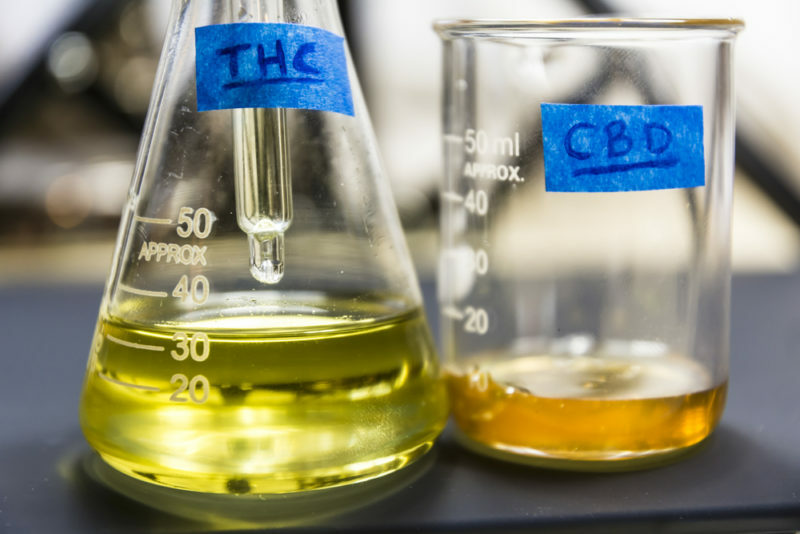 We also touch on the confusion surrounding who can sell CBD oil and more. • Do you love poke? I do. • The latest episode of Beer Talk Radio, a VOSD Podcast Network show, is packed with beer news, including a good description of the crazy burrito challenge at Societe Brewing Company. • Eat food for a good cause here. • San Diego Magazine food writer Troy Johnson is going on a road trip and pledging to avoid the mass of plastic that’s often served with road food (think straws and to-go boxes).